I assume that she is referring to the fallout from certain intemperate comments that Richard Dawkins made on PZ Myers’ blog back in the summer of 2011, comments which earned him a good old-fashioned privilege check in no uncertain terms. Now I know that some people take the opinion leaders over at a certain popular network of freethought blogs very seriously, so I figured it might be worthwhile to quickly check whether the atheist movement actually experienced a sudden downturn (or at least deceleration) in the summer of 2011. 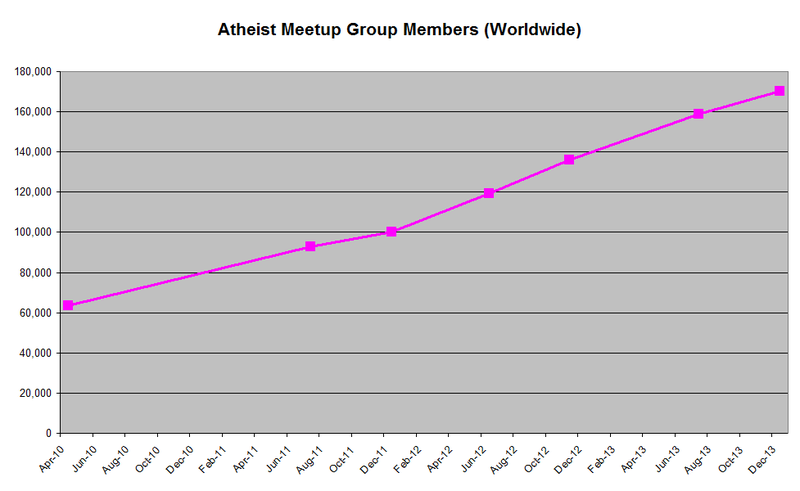 Since my own local atheist group uses meetup.com, I decided to look at their global metrics over the last couple of years for atheist themed groups, using the snapshots from the Wayback Machine. Granted, this is a really quick-and-dirty pull, just a few data points to get the sense of the overall trend. 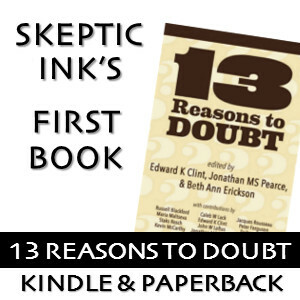 It is possible that higher data resolution would reveal a short-lived slow-down in the growth of the atheist movement, right around the time of the Great Kerfuffle. Far more likely, however, is the scenario in which massively overblown internet drama had no measurable effect whatsoever on the ability of grassroots groups to continue growing the movement. Of course, meetup is just one measure of how local atheist groups have been faring, and no doubt there are many others. If there is a data set anywhere in the world that shows a marked decline in movement atheism, from 2011 until today, I would love the chance to analyze it closely. Until then, I’m going to have to assume that Dawkins has been “destroying” the movement in some sort of metaphysical or theological sense, rather than in reality. I think he destroyed the A+ movement which was Jen’s baby. No great loss. Honestly, the FtB A+ movement was probably never big enough to even register on the scale used in your graph. Having recently returned from Skepticon VI, I’d say that the social justice wing of the new atheist movement is alive and well. A bit ghettoized, perhaps, but nowhere near “destroyed” by any measure. Granted, the A+ brand has been largely abandoned, but that could not have been Dawkins’ doing, he bowed out of this infighting before the attempted rebranding. Isn’t that anachronistic? 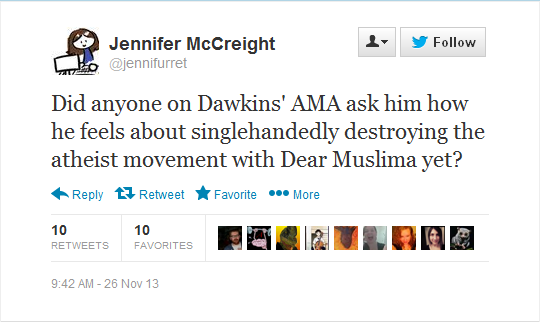 The whole “Dear Muslima” stuff came about a year before Jen had proposed Atheism+.